I just started reading it and so far, I like it very much! It is a biography of Archbishop Marcel Lefebvre but it is written in a somewhat unusual, but I'm finding, readable and interesting style. I will give a review when I'm finished with it but so far, I would recommend it. ...just finished 'The Horn of the Unicorn' last night and I highly recommend it. 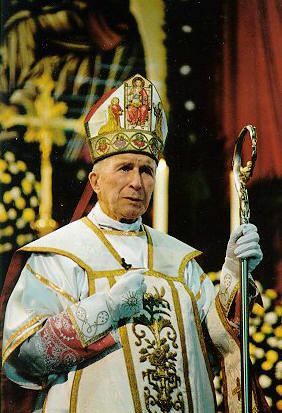 I know that + Marcel Lefebvre is a hot button issue, (And I am much more FFPS than SSPX!) but honestly, does anyone think that many, if not most, of the so-called "reforms" of the last several decades, have not done more harm than good? It is obvious that they have. Lefebvre was a great man and a great missionary. Also, unicorns are really neat.